I plan to re-sell my home, can you supply copies of documents? What should I do if there is a leak in my home? When you acquire a new home from us, you will automatically become a member of the Owners Management Company (OMC). This OMC is established by us as it is typically required by the planning permission granted by the local authority. The OMC owns the common areas around the homes (the roads, footpaths and open space areas) and is responsible for public liability insurance, maintenance and general upkeep of these areas. In an apartment building, the OMC also provides internal common area cleaning and waste management. Typically, when you acquire your new home, you will pay the first year's management charges upfront as part of the purchase price. After that, the OMC will invoice you every year for the recurring charges. These charges are calculated typically on the internal area of your home, the bigger the home, the higher the charge. Payment of these charges is mandatory and a condition of your contract to buy the home. Failure to pay the charges may give rise to recovery action and prevent you from being able to sell your home in the future, so its very important that you keep the charges up to date. 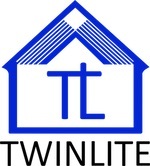 Twinlite have no role in the ongoing running of the OMC once the project is complete. Residents are asked at that point to join the board of the OMC and run it as they see fit. A managing agent is appointed in the short term, which residents can either choose to retain or remove after the project is complete and they join the board. Owner Management Companies are regulated by the Multi Unit Development Act and there are strict rules for their operation. Prospective owners should familiarise themselves with the concept of OMC's prior to signing a contract to acquire a new home.